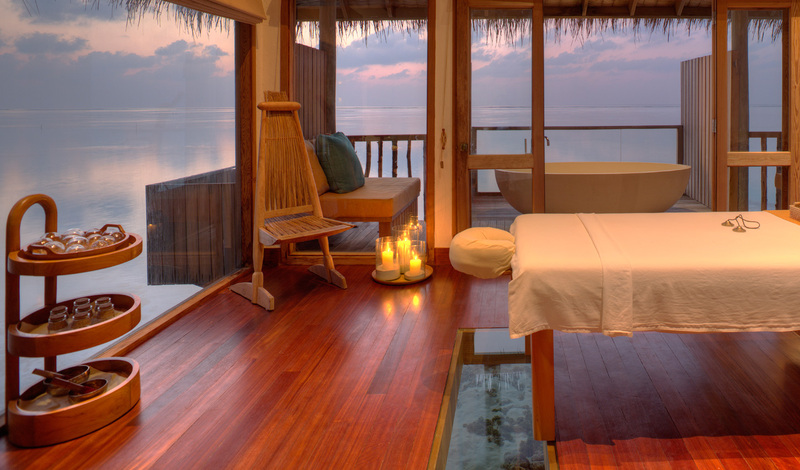 At this glittering retreat in the Maldives, jetties thread across the water to exclusive overwater luxury villas and reach the world-class Meera Spa; complete with glass floor panels beneath each massage table for guests to appreciate the unreal marine life. There is also a brilliant beachside restaurant with subway wine cellar, overwater bar, a sunset pool, organic garden and jungle cinema for guests to enjoy. One thing’s for sure, you will never be bored at Gili Lankanfushi. 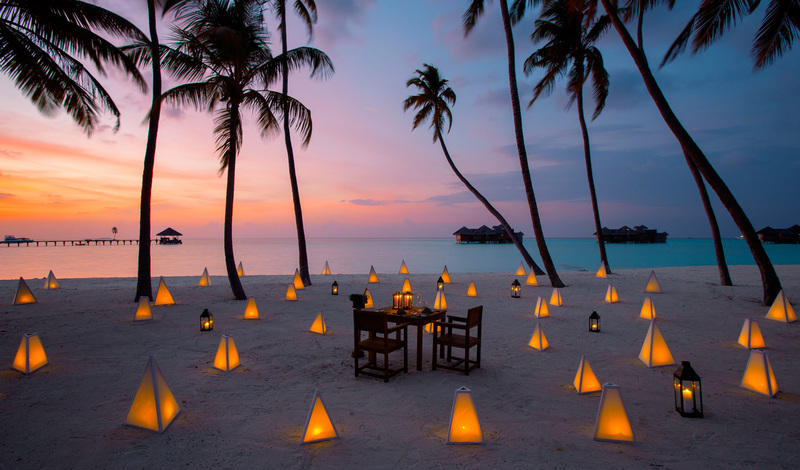 Lankanfushi is one of 1190 islands that make up the Maldives and is home to the dazzling Gili Lankanfushi retreat. The island is in the Malé Atoll, one of 19 atolls that stretch over 800 kilometers of Indian Ocean. The intimate Gili resort is a short speedboat ride away from the international airport at Malé, which is the capital of the Republic of Maldives. To put it plainly, while you are floating on cloud nine you are much closer to civilisation than it seems. Each villa is designed to be environmentally friendly and to include its own water garden, sun deck, open-air living room and separate shower linked to the bathroom by an open-air walkway. The decor of each villa is impeccable, embracing a true Robinson Crusoe, barefoot shabby-chic style. Without losing any quality or comforts. From the incredibly spacious bathroom and roof deck, you can hear your Bose sound system throughout – but nothing beats turning off the music and watching the night sky from the privacy of your overwater hammocks. For that extra bit of indulgence, there’s always the five-room retreat, tucked away 300 meters from the closest villa, with two master suites, a guest room, a private spa and gym, as well as a central open plan living area with sea garden, natural coral pool, sun decks and daybeds. Oh and a slide into the crystal waters. Naturally. You’re adrift at sea in your own personal villa on a private island, what’s not to like? But, to make sure you never feel truly alone each villa enjoys the services of a dedicated ‘Mr Friday’. Named after Robinson Crusoe’s loyal assistant and dear friend, your new pal will be on-hand to help arrange water-sports, excursions, spa appointments, sunset cruises, restaurant reservations and even entertain the little ones with storytelling and craft sessions. Put simply, Gili Lankanfushi is pure bliss.